When I first tested this Monty it shifted into 4 and 4l without any issues, even the rear locker kicked in just fine. After purchase I took it out to wheel more aggressively to baseline its suspension and it wouldn’t shift into low range and that’s when after a bit of research I learned of this drivetrain’s Achilles’ heel. 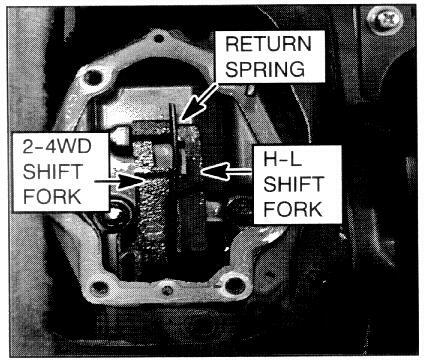 In the image of my shifter above, surrounding the lever that engages the transfer case forks is a brown plastic articulating ball or at least what’s left of it. While this particular plastic outlived Mitsubishi’s warranty, it went to pieces later in many a Montero/Pajero/Shogun. The fix is not a new aftermarket part – none exists that I could find – but to score a junkyard find of a previous iteration found in earlier vehicles that have a white plastic ball instead of brown. 1. Pop out the parking brake surround. It lifts straight out held in place by a couple of tension clips. 2. Remove the center floor console. It’s in two main parts, the rear storage compartment aft of the controls, and the main panel that surrounds the transmission and transfer case shifters. The rear part has four screws that secure it to a metal frame. Two are apparent and two are hidden. Open the storage bin and locate and remove the two screws at the very bottom. Next, slide the drink holder all the way out and look down behind that assembly; there a two round access holes in the plastic toward each corner of the frame. Below those are the hidden screws about ten inches deep. A long phillips screwdriver with a magnetic head is ideal to draw these screws out. These two screws also help secure the front console section. Carefully lift the storage bin up and disconnect the seat heater lead that splits out to the two switches, if so equipped. There’s another lead that feeds up into the console just behind the switch blank on the face above the drink holder. Slide it out of there as well. 3. The forward console has three screws, one at the base between the hidden screws, and two flanking the sides of the console. All the electronics on the forward console are wired to one main connector which has plenty of slack allowing easy removal of the console. 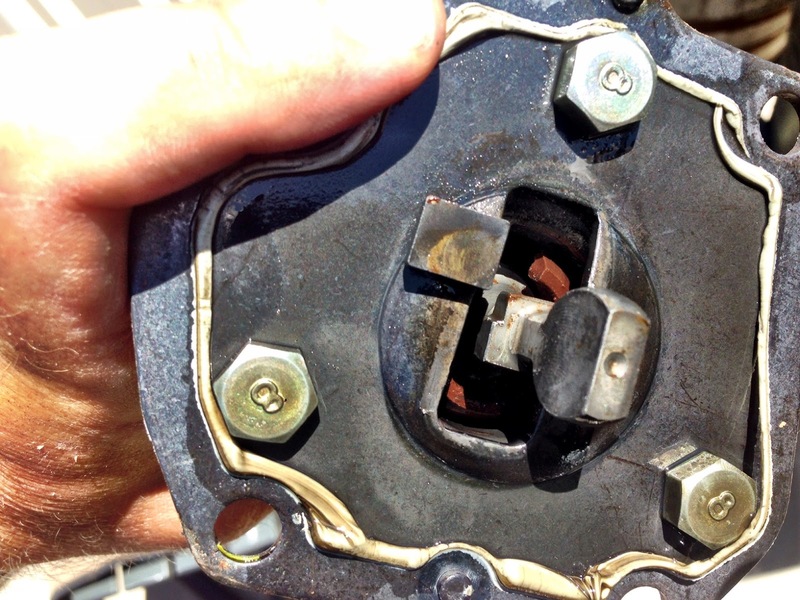 Be sure to remove the transfer case selector knob. 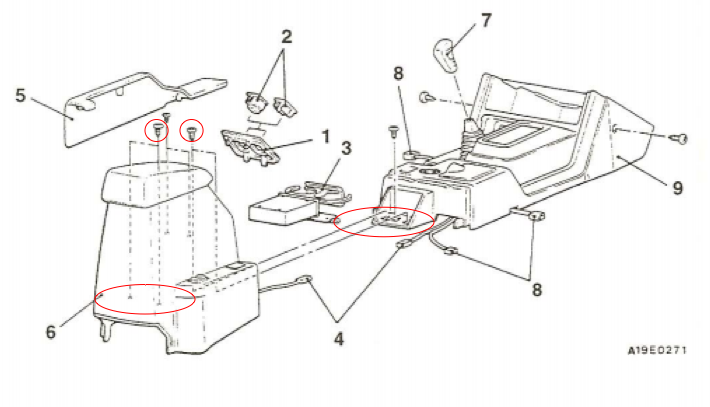 The transmission selector needs to be in L, and the release button on the handle needs to be engaged in order for the console to slip over that assembly. 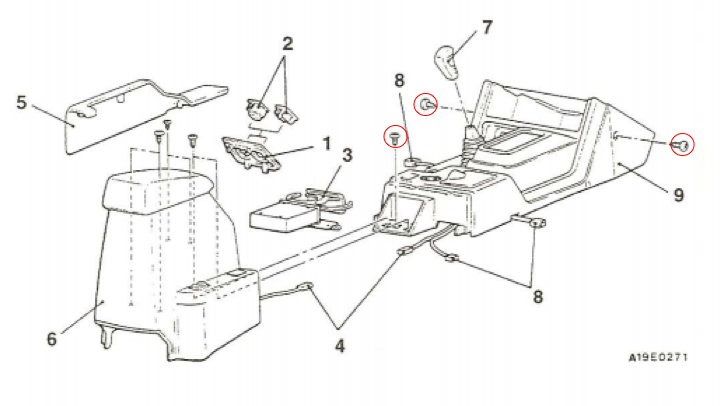 NOTE: Learn from my mistake – I disassembled the center console on my Gen 3 which required the removal of the transmission gear selector, so I assumed the same needed to be done with my 2.5. In looking for the hidden cover of the knob’s set screw, I popped out the O/D button thinking it may be behind there. It’s not. Instead I broke off the hot lead to the O/D switch since there’s no slack on the device. 4. Removing the console assembly reveals the boot of the transfer case shifter. Remove the frame of the boot being careful to note that the two side fasteners are sheet metal screws while the remaining fasteners are bolts. 5. Pull the boot all the way up to reveal the shifter mechanism. Four bolts secure this to the top of the transfer case, not the three bolts surrounding the lever. Two of the inward bolts hold a flat piece that keeps the breather tube in place at the rear of the assembly. Remove the bolts, slip the tube off that piece and move it aside. 6. Lifting straight up, remove the lever assembly. In my case, the transfer forks shifted into a different position from the 2W position in which I started. 7. Remove the remnants of the crumbled brown (red, brown is more appropriate though) ball that are scattered along the top of the well. 8. I applied a liquid gasket on my replacement assembly before I installed it much like what can be seen on the photo at the top of this post. I set the forks and spring to this configuration, carefully matched the lever key to the forks and the assembly slid right in. 10. Reassemble the mechanism and attach the breather tube. I checked the shifter at this point by starting the truck and putting it through the transfer procedure engaging all modes. It worked perfectly. 11. Reverse the procedure on the console installation. I used a telescoping magnet to set the screws down inside the rear console, then used a long phillips screwdriver to screw them in. This took about an hour.